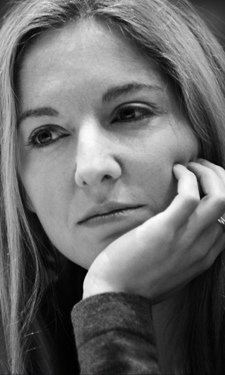 Victoria Coren Mitchell - Blog - Christmas Heresy! Tomorrow (Wednesday) on Radio 4 at 6.30pm is the Heresy CHRISTMAS SPECIAL. Do listen if you’re around at that time (or on Listen Again online), it’s a really great episode. THE BEST CHRISTMAS PRESENTS ARE THE ONES YOU MAKE YOURSELF. All three guests were incredibly funny during the recording, but also make some great serious points, even rather moving in places, especially when talking about the 1960s. I really love this episode of the show, and very much hope that listeners enjoy it too. FATHER CHRISTMAS SHOULD BE ABOLISHED. Victoria you have shined a very subtle and ironic light on the end of 2011…. I am sure you will not let your growing fame go to your head…. Here’s hoping the heretics take us into a very funny 2012….with you at the front leading the way. Enjoyed the series so far so am looking forward to this. I like Dr Hammond. He’s one of ‘those’ proper human beings isn’t he? Has a useful job, is funny and seems very good hearted and constructive. He probably moves people’s drinks around when they put them down at parties and turn away just for a mo’. I mean, nobody’s perfect, right? For whatever it’s worth, here’s my 2 pence. The best Christmas presents are often your own but unfortunately (or perhaps fortunately) the effect is only truly felt if you have the mother of all hangovers Christmas morning and so for the life of you, you cannot remember what you brought yourself or why you are standing naked in the kitchen. With a table tennis bat. Merry Christmas. My favourite used to be THE Toksvig… No more. It’s a sad day though when charming women have to resort to the tactics of the catholic church to get boyfriends! Cracking show. I greatly enjoyed your Observer column this week, but from my perspective there is one flaw in your self-diagnosis. Of course, you cannot compare to Kate Moss. You are nothing like her, thank goodness. I, myself, do not find the rather strange body ideals of the fashion industry particularly attractive, and, like many others, find you to be much more beautiful. If you had any ugliness genes would you be a TV presenter? Of course, I could easily list a hundred women who surpass your level of beauty (I won’t here on your site), but, if all women were only as beautiful as you, that would be heaven. Perhaps you may have felt a bit like an ugly duckling as a teenager, but you have grown up to be a beautiful swan, perhaps an ordinary one, but all swans are beautiful.